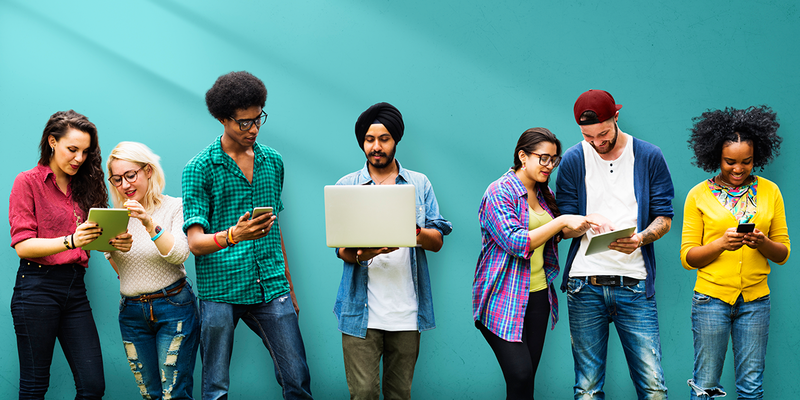 Well, we have made it easy for your to share your ideas, projects or memories with all your Gmail friends, family and coworkers straight from pCloud. Let’s say you have been on vacation with a group of people and want to share the pictures from your trip with the entire gang. My.pCloud, the web version of pCloud, has this little tweak called Gmail Import. 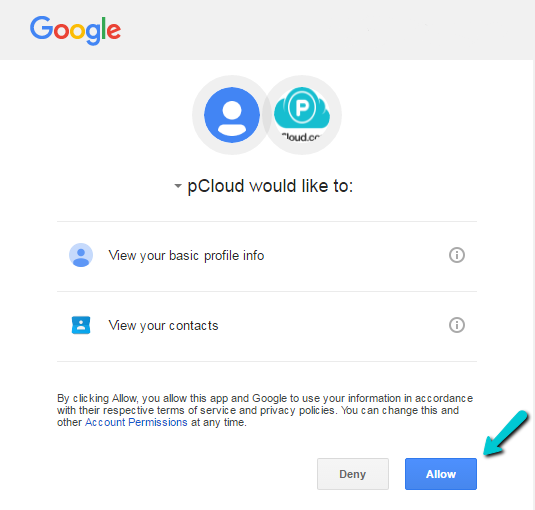 You can import your Gmail contacts to your pCloud, then use the sharing window as if it is the address bar of your email client. Once you start typing a letter, you will see all the matching results from your email contact list. Explained simply, the feature acts as a shortcut to your Gmail contacts. Neat, isn’t it? 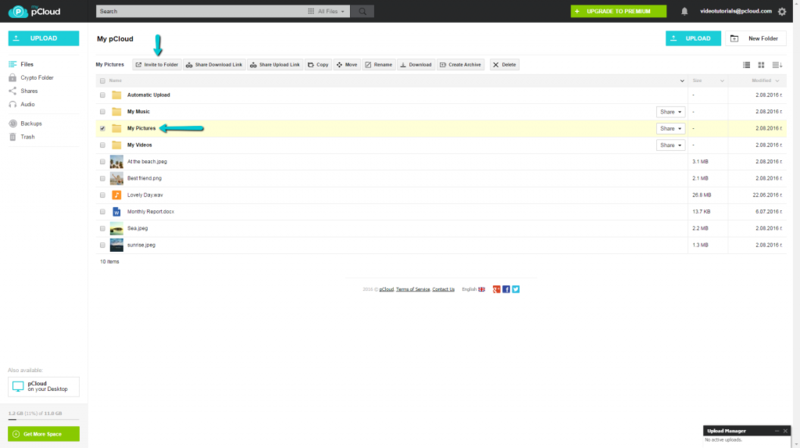 Step 1: Go to my.pCloud and choose the file/folder you want to share. We are going to share some photos. Step 2: A pop-up sharing window will appear. Locate the Gmail import button and enable it. 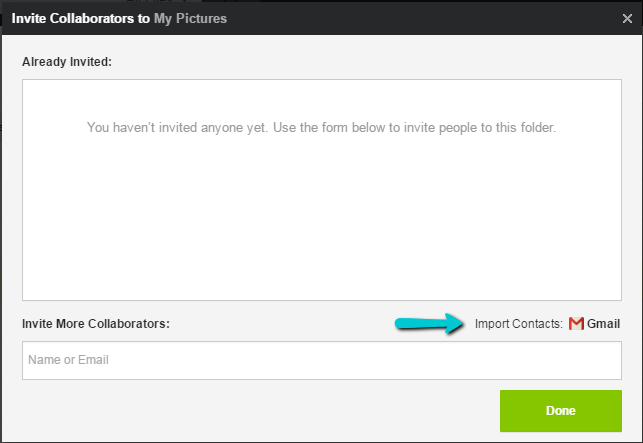 Step 3: pCloud will ask Gmail for permission to use import your contacts. Confirm and you’re ready! The only thing that’s left to do now is to start typing your recipient’s email adress. Once your list of Gmail contacts is imported, you’ll get an autofilled suggestion, like this one. Gmail imports don’t work only when you want to invite someone to a folder. You can use it when you share a Download or Upload link to save yourself time in finding the right email address. What’s more, it’s easy to enable. 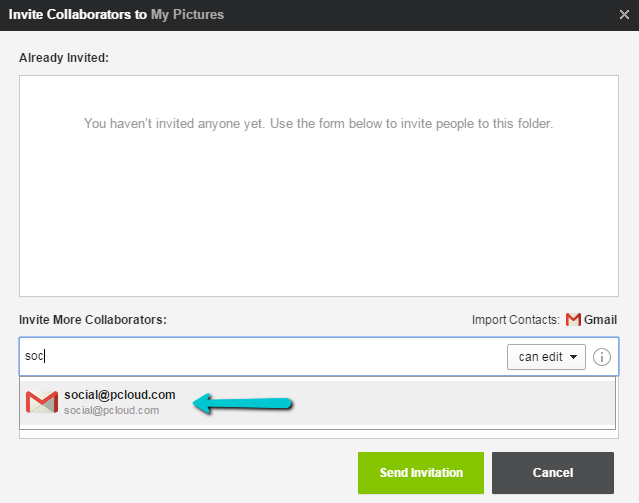 If you haven’t used your Gmail Import yet, you can always do so from my.pCloud.com. Enjoy easier sharing!